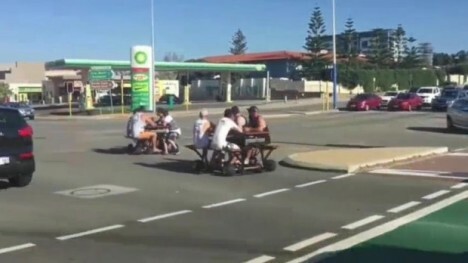 In what could be viewed as a pre-apocalyptic take on hacked vehicular hybrids of the Mad Max movies, a pair of picnic table cars have been spotted on the streets of Western Australia’s capital city. 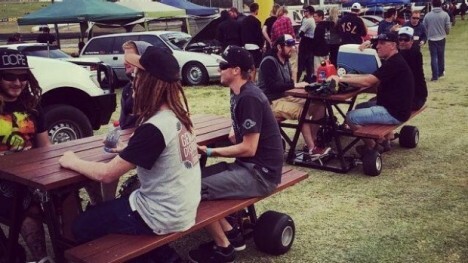 These road-worthy cruisers can apparently reach speeds of 50 kilometers per hour, handling like go-karts with bonus table space for passengers to set down their beers. Cops put out alerts on the vehicles based on CCTV footage and eventually spotted them as they stopped to fuel up at a gas station. 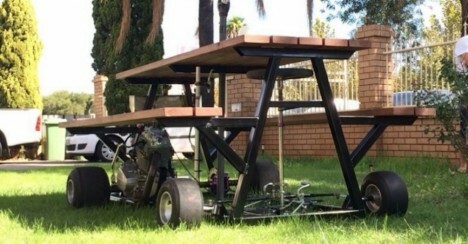 Inspired by a friend who constructs similar creations in New Zealand, the tables’ owner and builder explained that each model is constructed with a four-speed clutch, gears, accelerator and brakes. 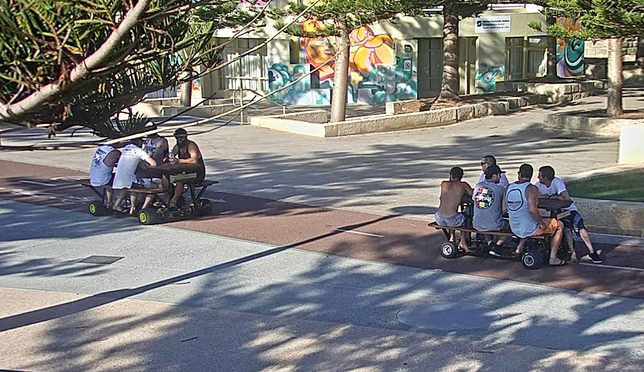 Police are still evaluating their presumably-illegal road usage, with potential penalties or fines yet to come, though all appears to have been in good fun.